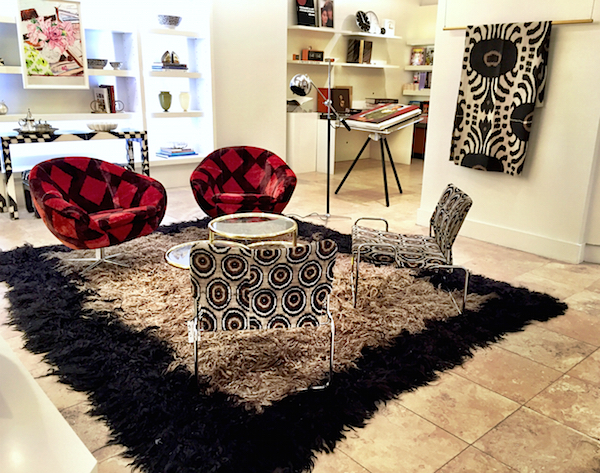 Madeline Weinrib travels the world to bring bring her authentic aesthetic home for her eponymous brand. And so it is particularly appropriate that her new Pop-Up at Barney’s Chelsea Passage should be titled “World of Influence.” For not only does it include many of her own new products and wonderful one-of-a-kind objects found on her travels but exclusive products designed in collaboration with Madeline’s creative world of select artisans and artists. I stopped by last week to chat with Madeline and have a peek. Front and center is a vignette anchored by Madeline’s new Letitia Tibetan Carpet, an Apparatus Triad chandelier (a duplicate of one she has at home – see top photo), vintage furniture upholstered in Madeline’s fabrics and a Catapult table by designer Robert Bristow, who she met at Ralph Pucci‘s showroom, where he is represented. She purchased one for her San Francisco showroom and realized its hand crafted elegance would be perfect for the Pop-Up at Barney’s. 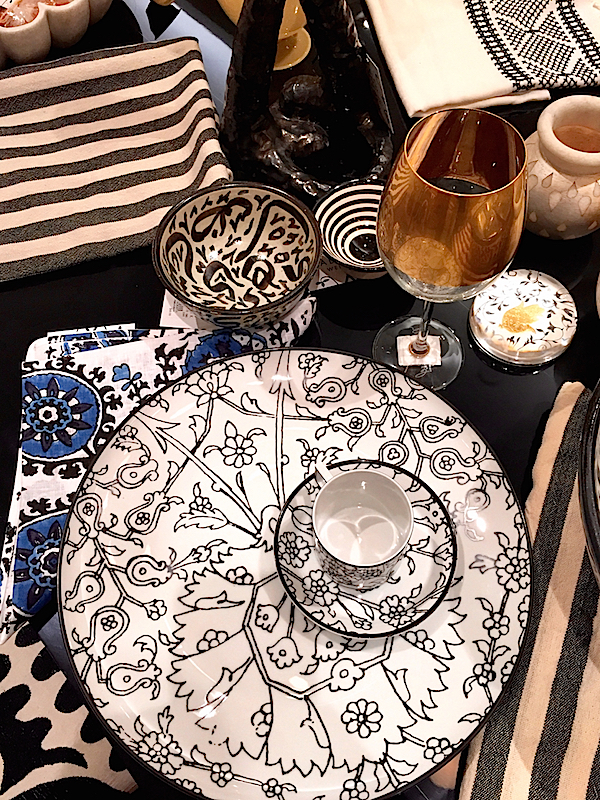 It not only coordinates beautifully with her new collection of black, white and brown fabrics but is a chic backdrop for Madeline’s curated tabletop treasures. The Pop-Up debuts her collection of dinnerware for Viennese porcelain manufacturer Augarten. 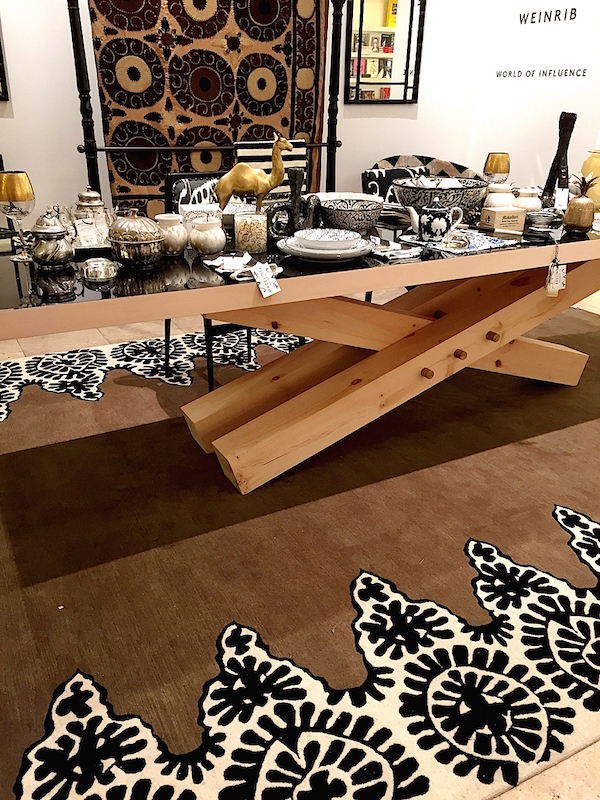 The pattern is based on Persian rugs, updated into a fresh black and white palette, each plate featuring a different part of the carpet. 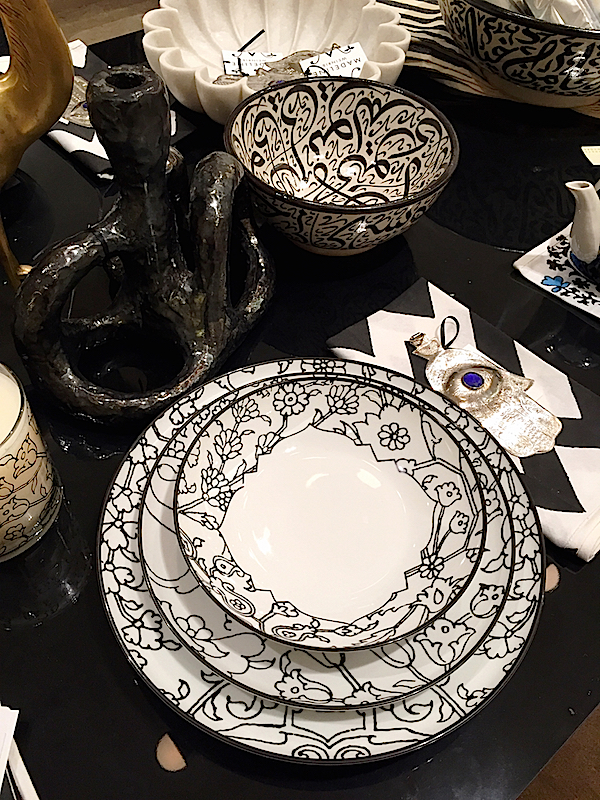 Representing Madeline’s signature mix of east and west with old and new are vintage Moroccan bowls, a hand carved marble fluted bowl from India and hand sculpted organic candleholders by local NYC artist Maggie Wells, above. 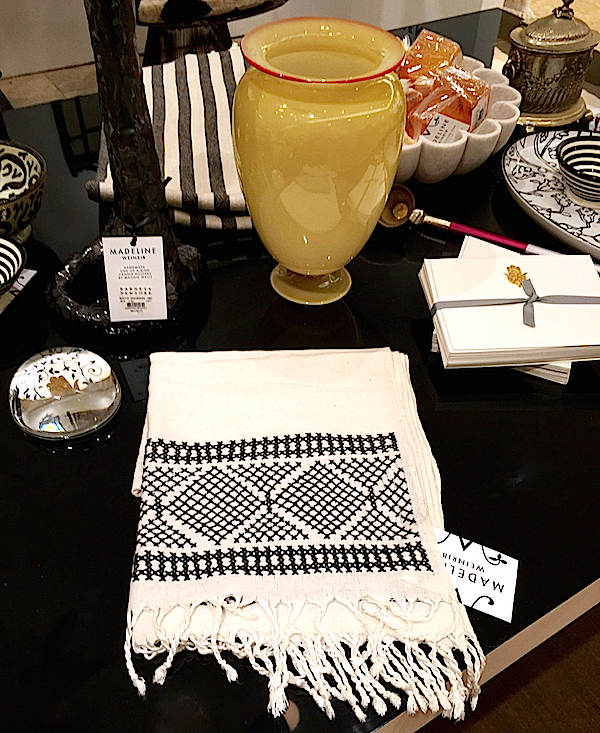 On Madeline’s black and white chevron napkin, below, is a charming Moroccan Hamsa (hand of Fatima) used in lieu of a napkin ring and equally stylish as a holiday ornament or even necklace. With a full range of price points and lifestyle products, the Pop-Up offers options from special sources around the globe. 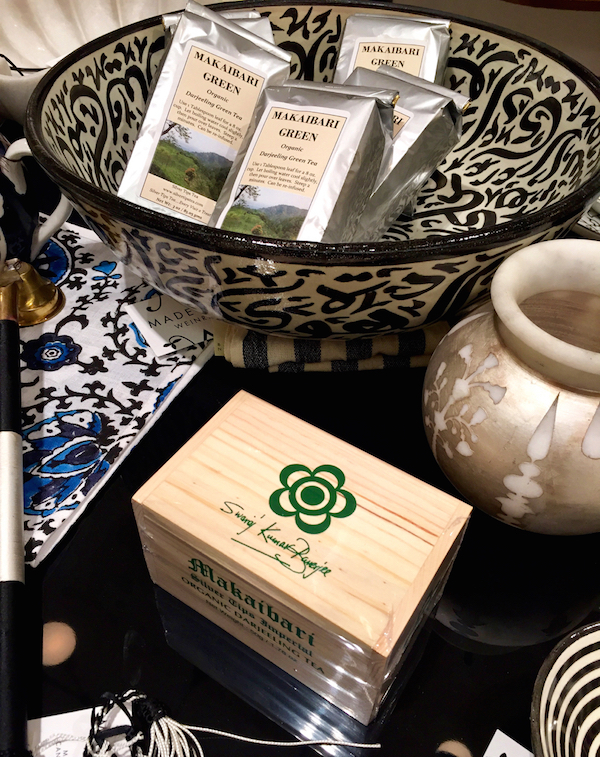 From the steepest slopes at the foothills of the Himalayas comes Madeline’s favorite tea, Mataibari Organic Darjeeling. 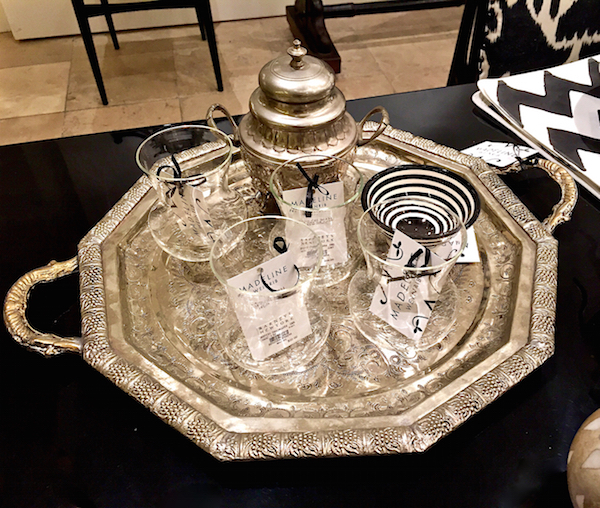 Serve it on a vintage Moroccan tray, in hand cut glasses from India that are perfect for tea, coffee, wine or even flowers. The black and off-white towels are made of hand-spun cotton, hand embroidered by women in Afghanistan widowed in the war. Madeline is hoping to do more collections, each in a different colorway (blue and white in the spring), to create a sustainable business. The beautiful hand blown glass vase is one of a collaboration with Federico de Vera, whose esteemed NYC galleries are filled with exquisite treasures. 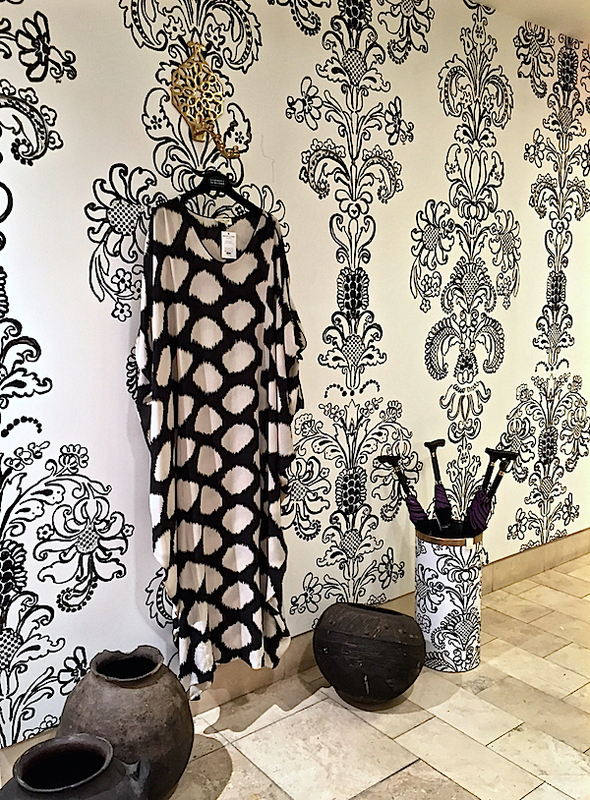 Madeline’s Allemande wallpaper serves as a dramatic background for her stunning new silk caftan and smart umbrella stand filled with her Sunder Suzani umbrellas, originally designed for the Neue Galerie. 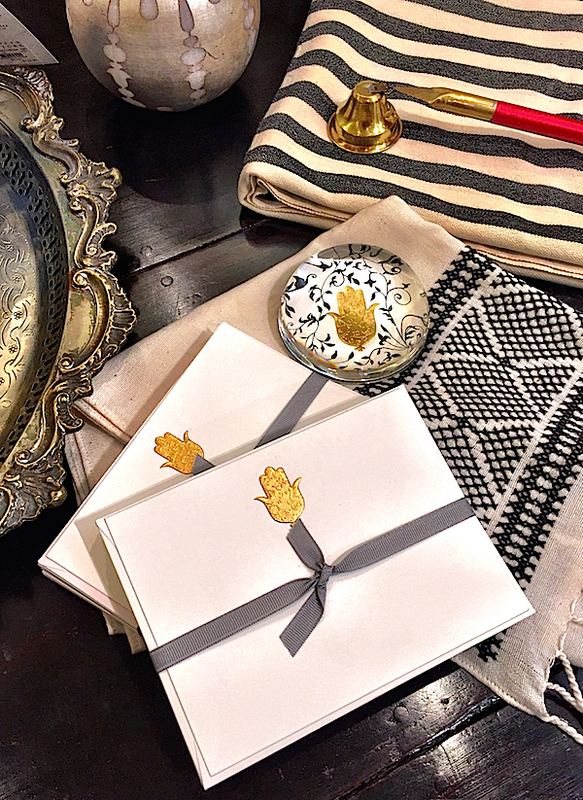 The signature hand of Fatima is embossed on a card collaboration with stationer Connor, who also produced the paperweight – perfect holiday gift ideas! Also shown a striped Turkish towel and one of several colorful Moroccan brass candle snuffers. Just like Madeline’s collection, Munnu Kasliwal’s represents the best of old and new. Any serious jewelry aficionado will be familiar with the treasures from The Gem Palace. Longtime friends, Munnu and Madeline collaborated on a small gem of a collection for the Pop-Up. 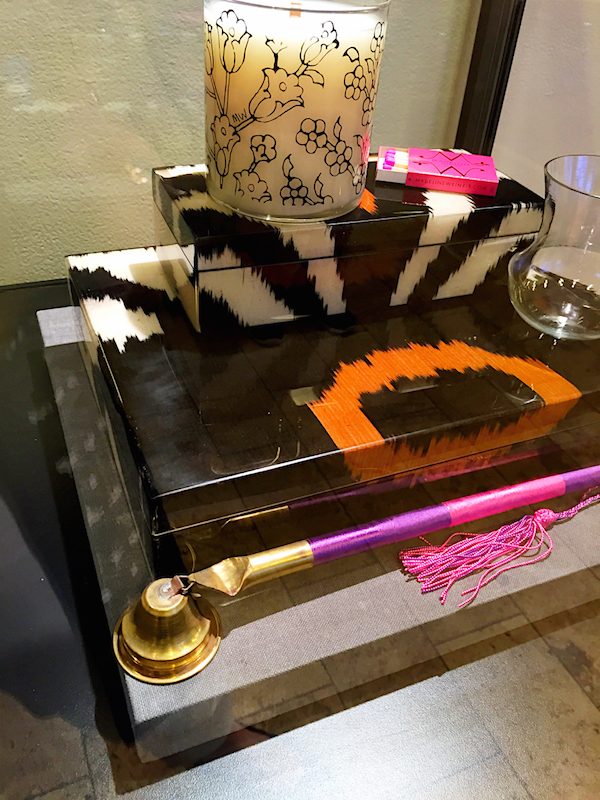 Hand-carved semi-precious stone jewelry bowls are the perfect bedside accoutrement for the stylish night table. 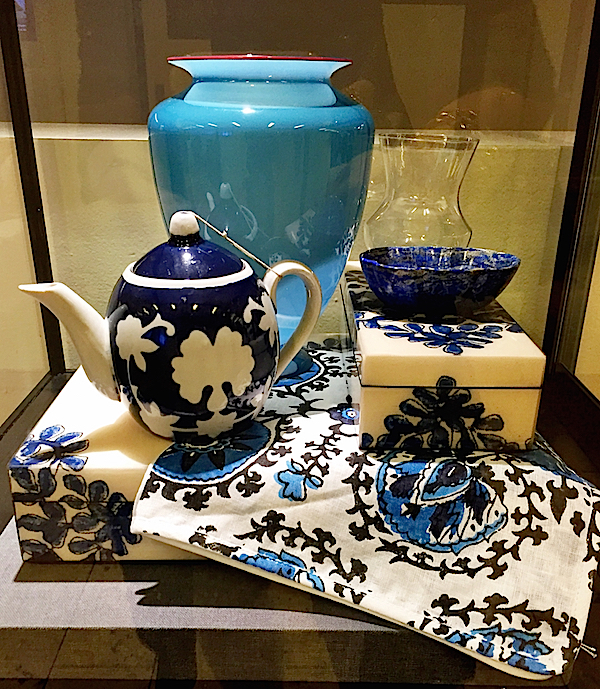 Below in lapis lazuli blue adorned with a lotus flower, it sits next to another de Vera vase and hand-painted vintage Uzbeki teapot on Madeline’s Ze Ze block print dinner napkin. 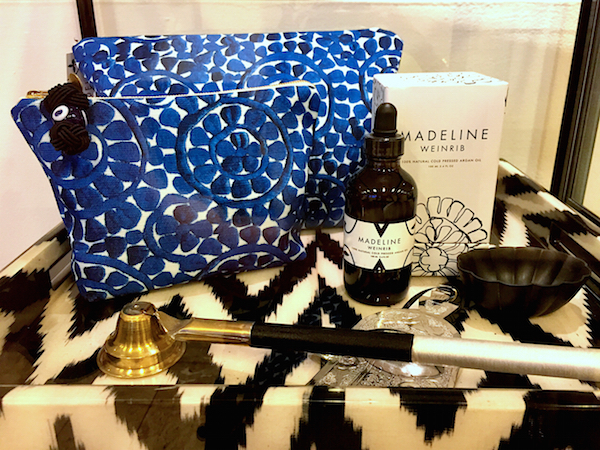 Madeline’s wonderful new indoor outdoor fabric collection, made in Italy, is put to good use on these chic cosmetic bags, available in a range of colors with a handblown glass evil eye pull. And her organic cold-pressed Argan oil, which I can personally vouch for, is newly repackaged with a dropper to maintain its vitality. The back of the spacious Pop-Up features more of her vintage furniture finds upholstered in collection fabrics, shown on her new two-tone Turkish rug, produced for the Pop-Up at Barney’s. To the right is her divine new reversible cashmere throw that took Madeline two years to produce in Italy. 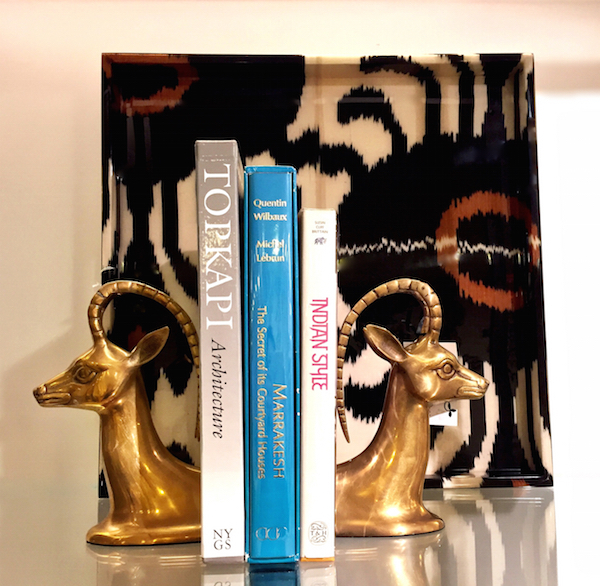 Past the seating area, a bookcase features a curated selection of travel books with vintage brass bookends along with other accessories including Madeline’s fabulous new collection of lacquer trays and boxes. A special inclusion is an Art Production Fund limited edition print by artist Billy Sullivan that he and Madeline collaborated on at her home. 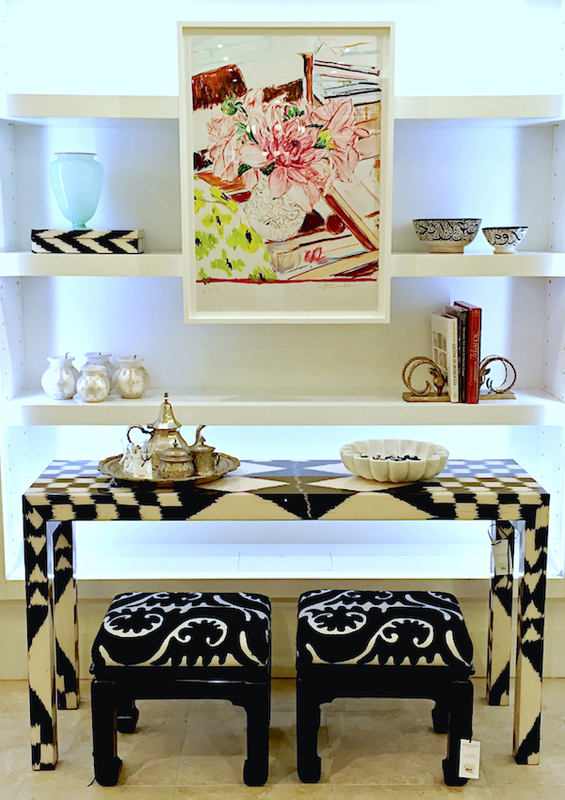 Below sit a new Ikat lacquer buffet table with two vintage Ming style stools upholstered in Madeline’s new embroidered Konya Suzani fabric. 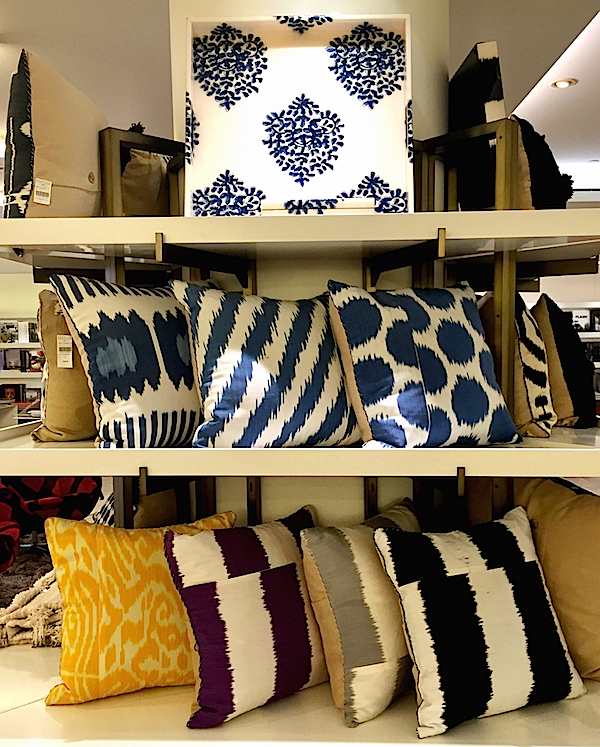 Of course a large selection of pillows in both new and existing fabric collections, along with the brand new lacquer trays, boxes and a new signature Poppy candle fill out the picture. 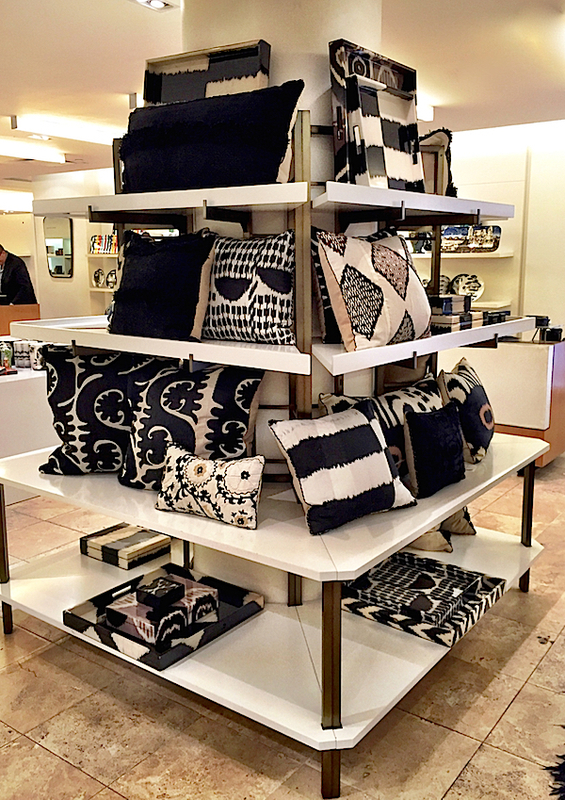 This is just a peek at some of what fills Madeline’s “World of Influence” Pop-Up at Barney’s. It is a marvelous lesson in seeing how it’s all in the layered mix – how different eras and cultures can work seamlessly together, united by the world of a well traveled eye. 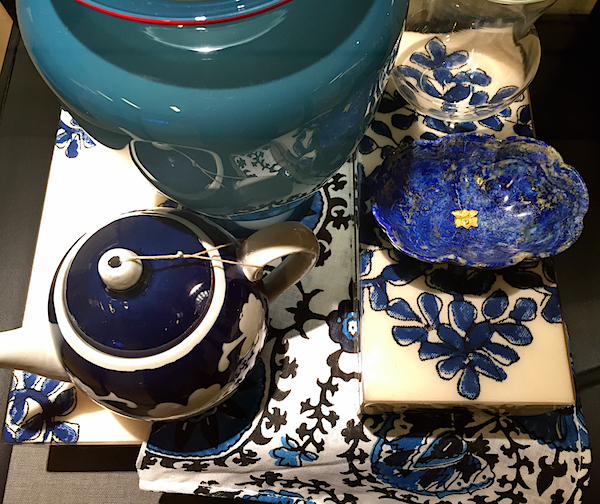 And Madeline’s world of authentic global chic is a timeless and covetable one. If you are not in the NYC area, I am delighted to report that a good selection of the items can be found online at Barney’s website. And to see where all the creativity comes together, tag along with Susanna and me for a behind the scenes video visit with Madeline in her beautiful NYC studio. This entry posted in art, design, fashion, furniture, gifts, interior design, Stationery. 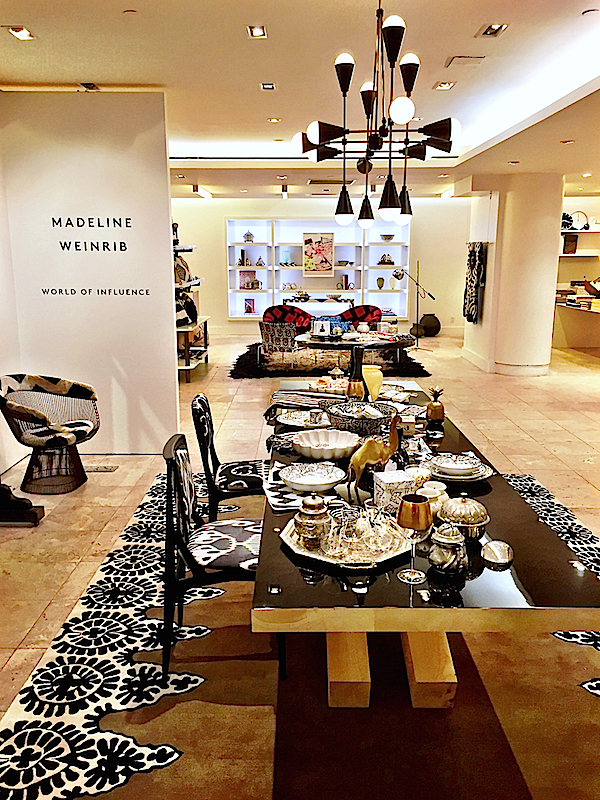 Entry Tags: Barney's, Design Pop-Up, interior design, Madeline Weinrib, NYC shopping, Tabletop Bookmark the permalink. This was wonderful. 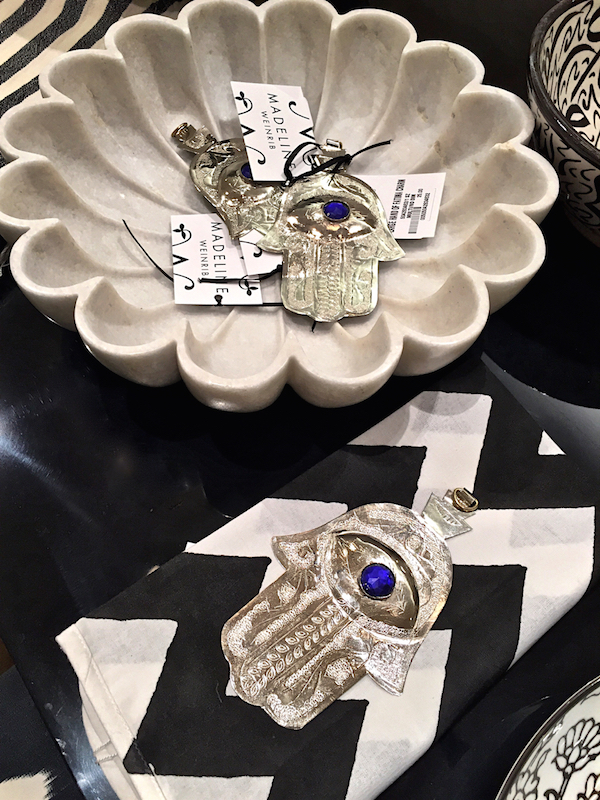 Wishing Ms. Weinrib every success with this beautiful and worthwhile venture. Exquisite design and craftsmanship. Thank you. Stacey, this new venture is amazing! Of course I happen to love absolutely everything that Madeline designs. All the best Madeline! Another wonderful video as well! its amazing was there on friday you captured it so well!!! Love your blog and Video! It is a social network of designers, architects, & bloggers! Add your posts and drive free traffic to to your blog! I’m a huge fan of MW ! Great post! 84 queries in 0.693 seconds.